Following last week’s White Coal directed by Georg Tiller, the LOCAL/LOCALE season continues on Sunday 22 November at 7pm with two films by Russian born, London based artist Sasha Litvintseva, Alluvion (2013) and Evergreen (2014). Litvintseva’s films explore the industry, tourism and history of specific places, commenting on the way culture, leisure and work are documented and valued. In Alluvion a family holiday at a Turkish coastal resort, taking in skating and gliding activities in between predominantly passive leisure time. Around them the work of shipbuilding and night time entertainment represent a contrast of labour, but it’s their essentialness to Turkey’s culture and economy that Alluvion appears to question. Evergreen meanwhile explores the constructed spaces, abandoned buildings and natural environments of Japan, where an immortal traveller attempts to understand each through their status as spectacle. We see tourists gather around a geiser, the endless unpacking of containers at a port and the image-making of costume players. All well documented by the ever present camera. Litvintseva asks what happens to a civilisation seeking perfection, when perfection means former utopias are replaced; ‘people were unwilling to abandon what they’d committed years of drudgery to acquire.’ Using still shots and soundtracks leaning towards the atmospheric ambient, both Alluvion and Evergreen have a languid pace that underlines the pleasure of looking that their subject references. Litvintseva’s films have screened at the AC Institute in New York, Wroclaw Biennale and Alchemy Film & Moving Image Festival (among others) and her short film immortality, home and elsewhere (2015) screened as part of the programme Shorts: Secret Corners at the 69th Edinburgh International Film Festival. 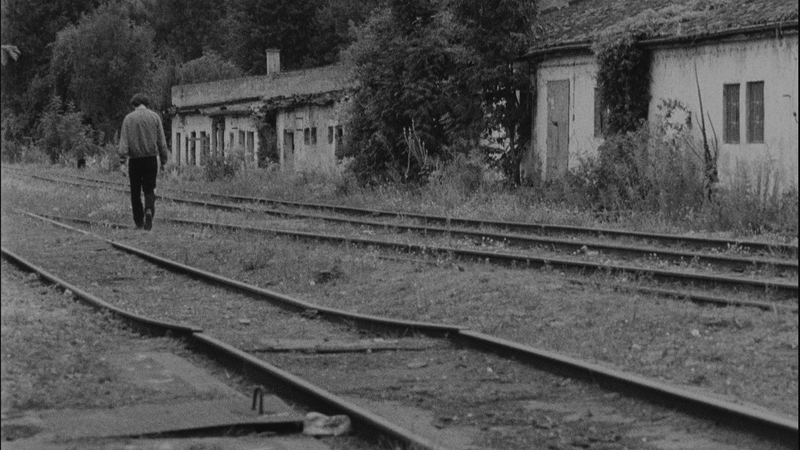 Alluvion and Evergreen continue White Coal’s themes of travel, the unreliability of the image and the documentation of industry, and point towards the following week’s Our Beloved Month of August, a film by Tabu director Miguel Gomes that usurps its own assumptions about documentary. With three screenings (and four films) left in the season, if you haven’t been able to attend yet, there’s still time to take advantage of the £20 season ticket price. Below is the full run down of the season and you can find more information on the Facebook page here and EFG page here. Following season opener, Man of the Story, LOCAL/LOCALE at the Edinburgh Film Guild continues on Sunday 15 November with the UK premiere of Georg Tiller’s White Coal (2015), a semi-fictional ‘document’ of the world’s largest coal-burning power plant in Taichung, Taiwan. Tiller based part of the structure of White Coal on Herman Melville’s novel The Confidence Man, and the film includes scenes, shot in black and white, that follow a figure aboard a Polish transport ship, much like the blind traveller of Melville’s tale. By contrast, the highly meditative scenes of the power plant were shot in colour, and it’s this contrast that is central to Tiller’s theme of factual distortion via image making. Tiller investigates the common imagery of the worker and industrial work place – huge chimneys, imposing buildings, hard hats, control rooms – and how these tells us something and nothing about the place in which they’re located. Tiller’s intention was for White Coal to have a certain timelessness and refer directly to cinema, as he described in an interview with Olaf Möller; ‘in the Polish part, I wanted to create something like a certain historicity – so playing with images from the history of cinema. Some shots could just as easily have been taken from a 1920s silent film, or from Soviet industrial films. (My Russian editor said the images reminded him of the Georgian cinema of his youth.) Anyway, the point is to historicize everything throughout the entire film, you don‘t know in what era the film takes place, a patina of transience is stuck to everything.’* The coal industry may be slowing down in Europe, but elsewhere it’s booming, and White Coal sits well alongside other recent works that have referred to extraction industries, such as Jia Zhangke’s Mountains May Depart (2015), JP Sniadecki’s Yumen (2013) and Wang Bing’s Crude Oil (2008), Coal Money (2009), West of the Tracks (2002) etc. 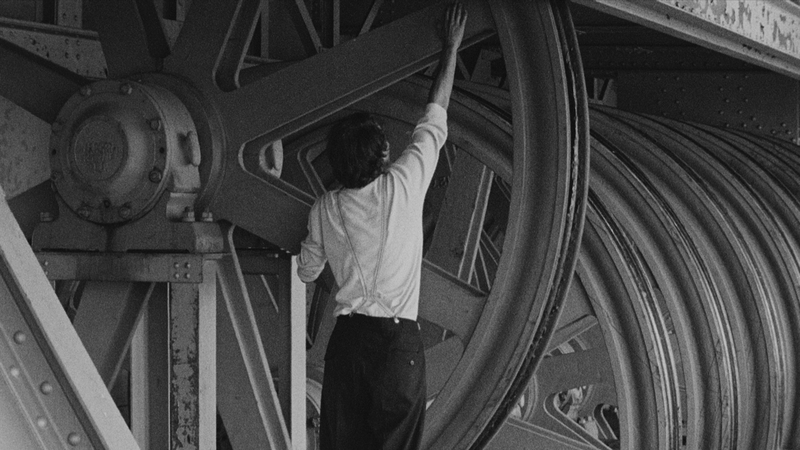 The screening of White Coal also points toward week three of LOCAL/LOCALE and the work of Sasha Litvintseva, who also explores the imagery of industry. Thinking about the use of colour and black and white, the appearance of the workers, the common motifs and the PR messages heard (which may or may not come from truths), provide a useful way to experience White Coal. It’s a very different film to Man of the Story but has in common with it a use of narrative (albeit much looser) to connect the social and the political. Below is the full run down of the screenings in the LOCAL/LOCALE season and you can also join the facebook event here. EFG are offering mini-season tickets for £20. More info here. *Olaf Möller in Conversation with Georg Tiller, Subobscura Films.